Recently I decided to dust off my favorite book about Lincoln and give it another read. It is, in fact, probably my favorite non-fiction book. Manhunt: The 12 Day Chase for Lincoln’s Killer by James L. Swanson recounts the story of the Lincoln assassination and the hunt for John Wilkes Booth in such extraordinary detail. Anyone with an interest in Lincoln or the Civil War has to read it. Perhaps the best thing about the book is that Swanson weaves together so many first-hand accounts. We see, in minute-by-minute detail, what happened that night from a great variety of perspectives. Peripheral figures, hitherto obscure, emerge as part of the story and we get a sense of the widespread hysteria and panic that took place that night. At the same time, we are introduced to remarkable figures who kept their cool and performed small acts of heroism. Unfortunately, most of these individuals have been forgotten. More on that in a moment. Last year, I visited Washington D.C. One of the best trips I ever took. I had been to D.C. before, but only on fast drive-throughs during which I barely had time to get a quick look at a few memorials. On this trip I had plenty of time, got to see some of the Smithsonian, the National Archives, and other places. At the top of my list was Ford’s Theater. For me, this would be like a pilgrimage. Unfortunately, just before departing the hotel to walk there, I checked the hours online and found it was closed for maintenance…just for that day. If I had just done my research, I could have seen it the previous day. But, of course, I didn’t bother to plan ahead. And it was my last day in D.C. I literally almost cried. I decided to just do a walk-by of the building and, to my relief, found there was a consolation prize. The Petersen House was open. Back to Swanson’s book. One of the level-headed heroes who emerges is Dr. Charles Leale, a U.S. Army surgeon who was in the audience at Ford’s Theater. He was the first doctor to reach Lincoln after he was shot and due to that fact, the dying President became, in a sense, Leale’s responsibility. Quickly realizing that Lincoln would not live long, Leale knew he could not allow the President to die on the floor of a theater. Several people implored him to take the President to the White House. But Leale knew a rough carriage ride would destroy any slim chance of survival that Lincoln had. With no plan whatsoever, Leale organized a team of men to gently lift the President and carry him out of Ford’s Theater. Leale himself cradled Lincoln’s head, periodically removing clots of blood from the wound. By the time they reached the street, a hysterical crowd had gathered outside. Imagine Leale surveying the scene. A mob pressing in on him, a dying President literally in his hands, and no idea where to bring him. And here’s where Swanson inserts one of those small details that makes the story all the more real. 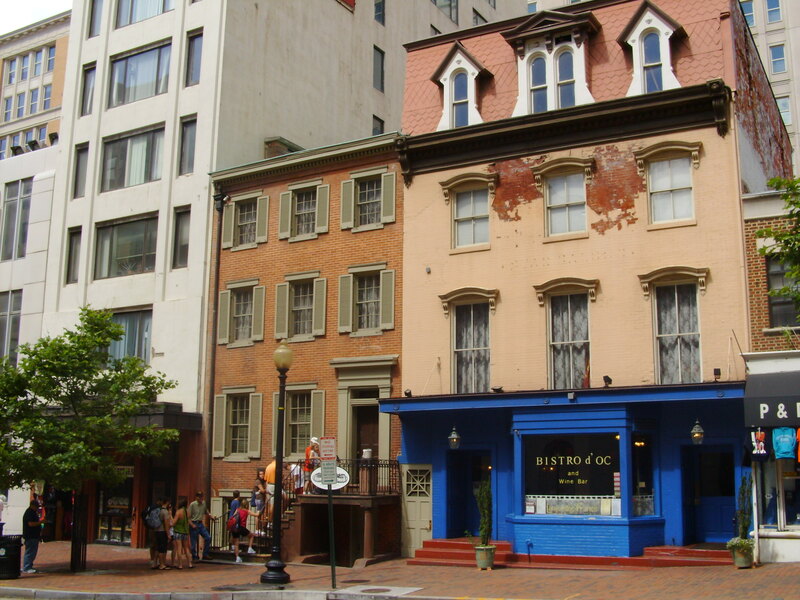 At that moment, on the steps of Ford’s Theatre, a uniformed Army officer forced his way to Leale, drew his sword, and said, “Surgeon, give me your commands and I will see that they are obeyed.” Leale’s only thought was to get across the street. The officer, whose cool sense of duty I greatly admire, and whose name is unknown to history, took charge of some nearby soldiers and cleared the way. They brought Lincoln to the house of William Petersen. A tour of the Petersen house is about as quick as can be. There are essentially two rooms downstairs—the parlor and the back bedroom. It might have taken all of five minutes to walk through had I not lingered. They let people through in batches. I walked at the back of the group, studying every detail of the parlor where Mary Todd Lincoln spent most of the night, inconsolable. 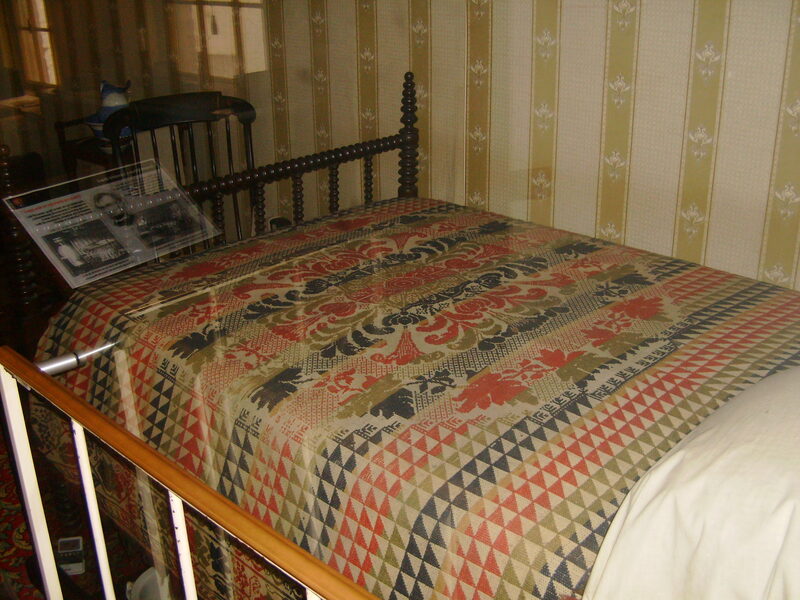 Then the group filtered through the back bedroom where Lincoln died. It didn’t look at all as I expected it to. A tiny room. Fanciful sketches in text books show a great crowd of statesmen grouped around Lincoln’s deathbed. I couldn’t see how you could fit more than six people in there. It seemed a little anti-climatic for some reason and I couldn’t really believe what I was looking at. I stood there until the rest of our group left, exiting out the back door. Standing there alone, the room seemed very different indeed. Suddenly I could feel the weight of what happened there and without any distractions, it was possible to picture the scene. I don’t know about ghosts, but I do think that terribly tragic events leave something of an imprint on a place. I can honestly say that I have never had such a palpable reaction to a historic site in my life. All too soon, another group made their way into the room and I reluctantly retreated out the back door. The monuments and mammoth museums of Washington are stunning. But none of them could compare, in my mind, to that tiny room in a modest little townhouse. It is a splendid thing that that building has been preserved. Someday I will make it back to Washington. And this time, I will check on the hours of Ford’s Theater before I go. This entry was posted on Friday, September 17th, 2010 at 12:09 am	and tagged with Abraham Lincoln, American Civil War, Ford's Theater, Lincoln assassination, Petersen House, U.S. History and posted in American Civil War. You can follow any responses to this entry through the RSS 2.0 feed. Thank you for this. Beautifully written. I intend to visit! In commemoration of the 150th anniversary of Lincoln’s death, I re-post this article on the subject–one of the first I wrote for this blog, years ago. in the next room someone taking notes. This is “Col.” Tanner; the White Family Genealogy tells me his wife was a Marshfield White, a near cousin of Peregrine White who was born on board the Mayflower many years before. While Tanner was pretty much a failure in managing the Grand Army of the Republic, he was instrumental in providing relief for veterans from both sides of the Civil War despite his war wounds. His story would be worth writing a column about.